Retirement Investing Today had humble 2009 beginnings when I began writing with a free .blogspot.com domain. Since then I believe the site has grown into a unique fact based data source covering both the general economy and personal finance ultimately aimed at helping you maximise your wealth creation and for those that choose the path early retirement. I don’t say that because I’m arrogant but because the non-emotional fact based data tells me this is so. This includes the site now having a Google PageRank of 3, a mozRank of 4.46, an Alexa ranking which puts the site in the top 12,500 sites read by people located in Great Britain according to Alexa and finally because readership continues to rise rapidly with visits up 32% in the last month alone. Holding myself accountable. By publishing my philosophy, strategy and progress measured against these I have to stay the course and can’t stray from the path. This reduces the risk of my failing to achieve early retirement. Continuous learning about economics and personal finance. To be able to publish unique up to date content regularly I am “forced” to continually data mine and expand my knowledge base. Share what I have learnt over the years, including my mistakes, so that you can conduct your own research and learn about unfamiliar topics which might affect your wealth creation. The emails and comments I receive tell me this is occurring. The reciprocal of point 3 which is to gain information from you that force me to go off and do more research about a topic I clearly don’t know enough about. I can definitely confirm that this is occurring. To achieve the site you see and meet my objectives I typically invest 12 to 15 hours per week. This covers data analysis, writing the posts, publishing the posts and keeping the site free from the continual spam attacks which you hopefully don’t see. My daily commute plus day job currently then fills around 60 hours per week. The two combined leave me with little time for further published content if I am to keep my current day job pace (which is necessary as it forms part of the Save Hard portion of my philosophy) and also allow some time to spend with my family. Adsense. If you click on any of the AdChoices in the right hand side bar I receive a small amount of revenue. Amazon. If you click on any of the links within The Books That Helped Me tab below the main site banner and then go on to buy something with Amazon I receive a small amount of revenue. Sponsored Posts. I post a very occasional Sponsored Post which has been written by a Freelance Writer working with an Agency. Unlike most sites I clearly label these as a Sponsored Post so that you the reader know what you are looking at. Sponsored Links. This is where I write a completely original post as you would expect to see today but somewhere within the post I carry a link to another site. These would be clearly labelled as such. Sponsored Posts. This is what you currently occasionally see published and labelled as such already. There would just be more of them. Banner Advertising. These would be advertisements published in the sidebar and possibly at the base of posts. Again they would be clearly labelled as Advertising. I acknowledge that blogging will never make me rich and I have no intention of turning the site into one big advertisement as this would destroy all of my objectives for running the site listed above. At that point I might as well shut the site down. My fear is that if I did start to ramp up the advertising a little that I would alienate you the reader which mean I keep objectives 1 and 2 but would destroy objectives 3 and 4. This is where I’d like to turn the post over to you. 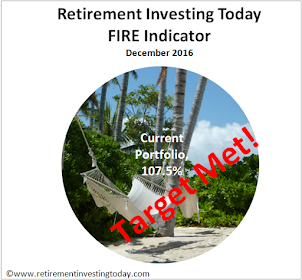 If I was to increase my passive revenue while clearly labelling when something is not wholly my work would you stop visiting Retirement Investing Today? Would you lose respect for the site and not trust what was being presented? I am nervous of heading down this road because having running this site for over 3 years I’m very aware of how much of the mainstream media is in my opinion now thinly veiled advertising presenting content from vested interests. I’m also very conscious of many so called personal finance blogs run content which is really not much more than a continuous stream of sponsored posts. Neither of those things is what I or Retirement Investing Today is about. It would be great to hear your thoughts. The fact you are asking the readership is indicative of the respect you have for them. Ads in moderation would not turn me away from the site. I do not like sponsored posts. Whether or not you feel that they are relevant to the site, they have been posted for financial gain and therefore do not represent an unbiased viewpoint - one of the key points of attraction of the blog. Sponsored links are another matter and depend entirely upon the context. Whatever you decide, good luck with it. The amount of effort that you put in provides valuable information to us readers, so it would be churlish to begrudge you reward for your work. I agree sponsored posts are rarely a good idea. Adverts are fine and are pretty much excepted on the web these days but don't make that much money. I suspect that low cost investors are too price sensitive too be great sources of ad revenue. There are presumably other sources of revenue; ebooks for example. Another option is to make the site more collaborative, with more guest bloggers so there is no such much emphasis on your creating things. I would suggest fellow travellers rather than people who are paying to access your readers eyeballs. I think in general personal investment blogs in the UK and pretty poor. First thanks for asking your readers - RIT is a unique and very helpful blog and I think your respect for your readership is part of its success. There are only a handful of first-class personal finance blogs serving UK readers and this is up there with them. FWIW I think banner advertising can be less irritating for readers than lots of sponsored posts and articles. It might be worth looking at how it is done successfully elsewhere - for example, the Monevator blog seems to use quite a few of these and yet they seem fairly unobtrusive and it is easy for the eye to pass them over. Another vote against sponsored posts as they cloud the impartiality which makes the site so appealing in the first place. Adverts are OK, just so long as they don't become intrusive and if you can avoid 'flashing' adverts, which I personally hate and will on occasion close a page because of them, then you will not impact readability greatly. Finally you mention spam as an issue and wonder if it would be worthwhile you introducing a 'captcha' to the comments system to reduce the automated spam you get and hence the amount of time you have to spend sifting the ham comments from the spam. I think the first thing to say is, stay true to your personal beliefs and philosophy - money-making was never part of the original plan. Far more important in my opinion is to retain credibility with your readers and not to compromise your ability to present an unbiased opinion. As others have said, the sponsored posts may not be the best idea and I suspect don't pay much anyway. I like the idea of more guest bloggers (and happy to be involved myself) as this would possibly free up a little more time for you and posibly broaden the readership more. Sometimes its probably enough just to share issues you may be struggling with and this, in itself, somehow changes the dynamic enough to find a satisfactory resolution. By the way,I like the idea of consultation - thanks and good luck with whatever you decide. I enjoyed reading this blog and I actually do find sponsored posts quite off-putting. Ads in other forms, I really do not mind since I tend to tune them out. Sorry I missed you in the long reply below. We were writing comments at the same time. It looks like your thoughts match also. Thanks for the steer and support. Many thanks for your valued feedback. Some great food for thought. - Sponsored Posts are not the way to go. - Sponsored Links are worth a try. - Banner Advertising is accepted providing it's not garish in nature. - Around Dave's idea of fellow travellers. Simply how the reader is Saving Hard, Investing Wisely and Retiring Early (substitute with whatever your wealth creation is chasing which might include retirement but could also be a house or even a spaceship...). - A piece of learning or mistake you have made on your personal finance journey. 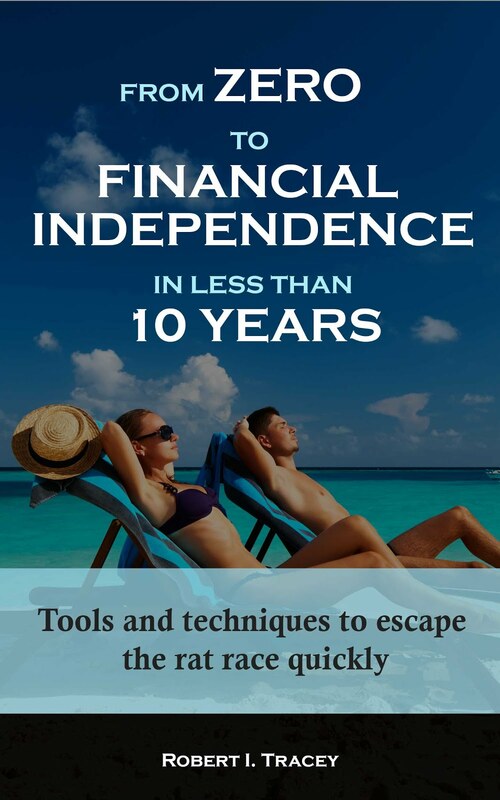 - Simply the readers personal finance journey. Would one of you (or all of you) be prepared to be the first to chip in with a post? That would show the theme to the complete readership and hopefully it would gain some velocity from there. The US blog http://www.getrichslowly.org/blog/ does this very successfully. On the topic of consultation. It's the least I can do given I don't see this as my blog. Without your inputs I wouldn't be able to achieve objectives 3 and 4. @Anonymous1. The reason the Sponsored Posts don't come across with my usual passion is because they are actually written by a Staff Writer from the respective Agency. I do however get to choose some key points to be covered within a theme but that's about as far as it goes. @Anonymous2. Thanks for the kind words. @Dave. "low cost investors are too price sensitive too be great sources of ad revenue". I suspect you're right about that. It was a point I raised with John during an email exchange during the week. We're all about reducing costs to get more in our own pockets. Ad revenue can only occur if somebody is making money at our expense. I also agree that the UK PF world is pretty thin on quality. IMHO the daddy of quality is Monevator where I read every post and have learnt a huge amount. @Faustus. I'm writing this response while blushing. Your comments are appreciated. @OIMO. Thanks for the 'captcha' suggestion. I actually used to run that up until about 6 months ago. It was suggested to me that by switching it off I might actually get more readers comments because it puts some people off. Sure enough as soon as I disabled it the amount of reader engagement went up. I'd therefore prefer to keep everyone involved and deal with the spam than lose the comments. @John. I'd like to thank you publically for your great Guest Posts. This post actually came together based on our recent email exchange. How is your blog coming along? I've tried to access your URL but have had no success thus far. Regarding my blog - its happened! Great news although having just read your first post it sounds like you've had some fun. Looking forward to following along. I've never seen a blog that posts a sponsored content continue to grow into a major site. Maybe it's coincidence, maybe it turns readers off, maybe taking that content showed the original author was flagging. In any event, it's always a death knell as far as I'm concerned. Sponsored links in sidebars are bad, but they don't seem so deadly. I have no problem with advertising or genuine affiliate links at all, but they are not as lucrative. Thanks for your 2p TI. As the owner of a very successful long running site I value your thoughts. Essentially use the no follow tag. Thanks for the information. Most interesting. It appears that the web is a minefield for beginners.